1.Dennis MM, McSporran KD, Bacon NJ, et al. Prognostic factors for cutaneous and subcutaneous soft tissue sarcomas in dogs. Vet Pathol. 2011 Jan;48(1):73-84. 2.Bray JP, Polton GA, McSporran KD, et al. Canine soft tissue sarcoma managed in first opinion practice: outcome in 350 cases. Vet Surg. 2014 Oct;43(7):774-82. 3.McSporran KD. 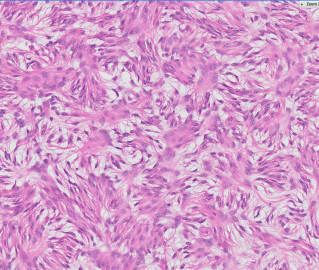 Histologic grade predicts recurrence for marginally excised canine subcutaneous soft tissue sarcomas. 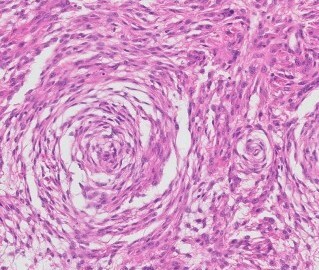 Vet Pathol. 2009 Sep;46(5):928-33. 4.Stefanello D, Morello E, Roccabianca P, et al. 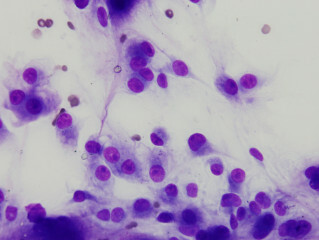 Marginal excision of low-grade spindle cell sarcoma of canine extremities: 35 dogs (1996-2006). Vet Surg. 2008 Jul;37(5):461-5. 5.Kuntz CA, Dernell WS, Powers BE, Devitt C, et al. Prognostic factors for surgical treatment of soft-tissue sarcomas in dogs: 75 cases (1986-1996). J Am Vet Med Assoc. 1997 Nov 1;211(9):1147-51. 6.Avallone G, Boracchi P, Stefanello D, et al. Canine perivascular wall tumors: high prognostic impact of site, depth, and completeness of margins. 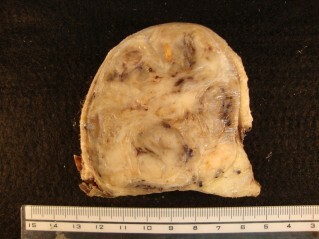 Vet Pathol. 2014 Jul;51(4):713-21.